RedBubble: Cheer, and Inflated Problems Avoided. It’s almost summer and I am sure everyone is looking forward to putting on a T-shirt and shorts, and hitting the streets to strut your stuff. 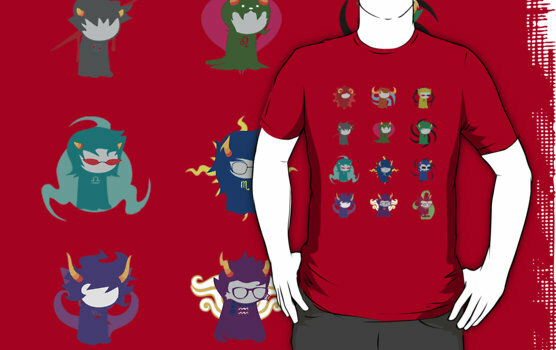 My son asked me to order him a geek-tacular Hivebent Trolls T-shirt from his hard-earned paper route money. I have no clue what the heck that is, but what I do know is that ordering from redbubble.com was an unexpectedly pleasant experience. The order shipped fast and was accurate, which was the least you can expect. But, when the shirt was too small they made reordering a new size a snap. The web-site was clear on my question, they had a simple form which required the original order number, they responded within 24 hours, they sent out the new size free of charge and did not ask for the original one to be returned. Holy moly. Now that is customer service. No hassle. Now, I can well imagine this is maybe a once or twice proposition considering you have no excuse to get the size wrong next time. They did provide good sizing guidance, but despite a concerted effort with the measuring tape at home, I obviously fell short of getting it right. But, this made me want to shop on-line more. What sealed the deal for me on these guys, and prompted me to write, was when they popped-up on a random Google search about Wacky Wavy Inflatable Tube Man. How can you not like these guys? The bottom-line: No hassle shopping for your geek-stuff.